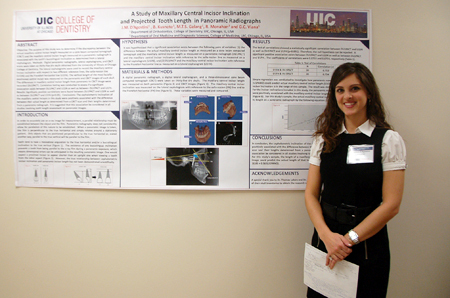 Congratulations to everyone who participated at the UIC College of Dentistry Clinic and Research Day! 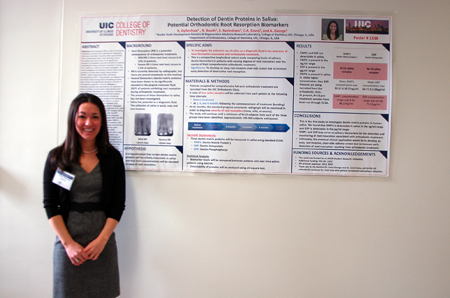 We are proud to announce the award-winning orthodontic projects. 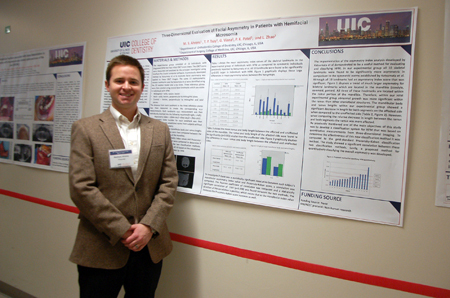 For more pictures of the event, please visit: http://uicortho.wordpress.com/2013/03/07/orthodontic-residents-presenting-on-the-uic-college-of-dentistry-clinic-research-day-2013/. Has anyone used nexus brackets? They are the Forestadent version of the GAC Innovation bracket that has been ‘adopted’ by Ormco. I currently use 50:50 Damon / Innovation, but if I could pool all with one company there might be serious financial benefits. I just finished reading an article in The Bulletin about treating noncompliant patients. The authors suggested that the orthodontist was too agreeable with the parents in allowing treatment to continue despite his poor oral hygiene. They note that if the orthodontist would have terminated treatment after “a few months”, the parents would have been more accepting of his decision to terminate treatment. It seems to me that we are required to be clairvoyant in situations like this. I have fought the oral hygiene battle for many years. Most of the time, I win, but not always. If I were to have terminated treatment after just a few months on every poor brusher, many patients would not have their malocclusion corrected today. Besides, in the vast majority of cases I have treated with poor oral hygiene, the worst “damage” can be repaired with conservative measures (enamel microabrasion, composite restorations…etc) I think that is better than leaving someone with a 10 mm overjet with no decalcifications. It is obvious in hindsight what the orthodontist in the article should have done, but we have to make judgements in the present. Clearly, in a small percentage of patients, treatment should be terminated, but the guidelines in this article would apply to a significant percentage of my patients. Are there any recommendations for a staff- friendly digital camera? I spoke with a noted orthodontic office design person yesterday about my upcoming expansion/renovation of my office. She told me that orthodontists are getting away from dry heat sterilizers (Dentronix) and going to autoclave type systems that allow bagging during sterilization. Her thought is that this “looks” better from a patients point of view. Pretty much a marketing move. I didn’t have time to question her about corrosion…etc., so I let it go. What are your perceptions about this? Before I launch into one of my favorite topics, it’s great to see a refurbished ESCO as well as many of the usual suspects. 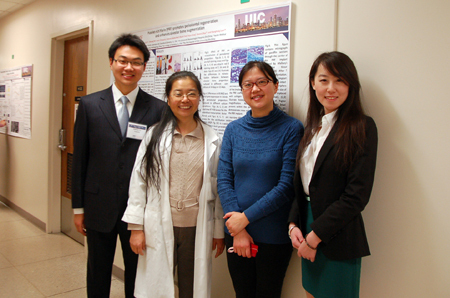 Thanks Huibi! Now to cut to the chase! Most of us consider extracting the four 1st bicuspids in a Cl. 1 crowded case a no-brainer because that tooth is closest to the crowding. However, that is not always the best strategy in the maxillary arch for the following reasons: since the 1st bicuspid is generally larger than the 2nd, the presence of the 1st bicuspid makes the reopening of the extraction site less likely; furthermore, should the space reopen, it is less obvious because of its more distal position; equally important, the difference in the gingival heights of the cuspid and 2nd bicuspid can compromise smile esthetics. The natural juxtaposition of the cuspid and 1st bicuspid results in a much more pleasing appearance. Maxillary 1st bicuspids are also traditionally removed in single arch extraction cases, most notably in Cl. ll div. 1 cases. For the reasons stated above, I would argue again that the maxillary 2nd bicuspid should be the tooth of choice in most cases. The extraction of the maxillary first molar in single arch extraction cases is also a valid option, but that is the topic for another discussion. With these considerations, I would ask ESCO readers why they would argue against the removal of maxillary 2nd bicuspids in the majority of cases, and in all cases where this size disparity exists, barring any periodontal considerations. My guess is that most practitioners avoid removing maxillary 2nd bicuspids, either because they never gave it serious thought, or they were wary of the additional mechanics required and/or the anchorage-taxing problems this protocol entails. But to trade a superior result for treatment expedience, in my view, does a disservice to your patient. I respectfully suggest that if you have consistently favored 1st bicuspid extractions in the situations I have described, that you reconsider your options. 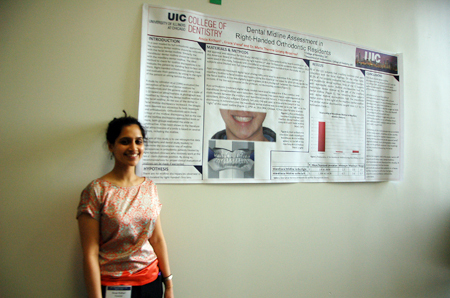 Attached are a couple of slides (click here ESCO) that illustrate the size and gingival height difference in a particular case. How to Post a New Post or Comment? If you would like to create a new topic for discussion, please send your post to escostudyclub@yahoo.com. ESCO Forum's editors will review your post and decide if the post is appropriate to be published within 3 business days. You don't need to log in or subscribe if you wish to leave a comment for an exciting post. Simply click "Leave a comment", put in your name, email, and your comment, and click "Post Comment" button. If you have any images to share, please contact the editor via escostudyclub@yahoo.com.